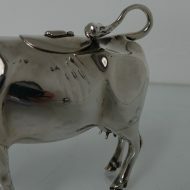 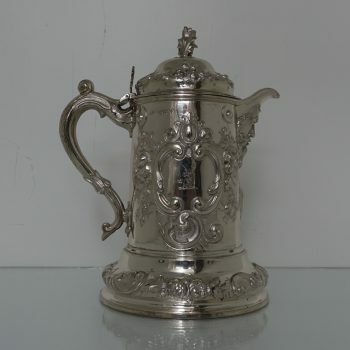 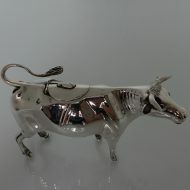 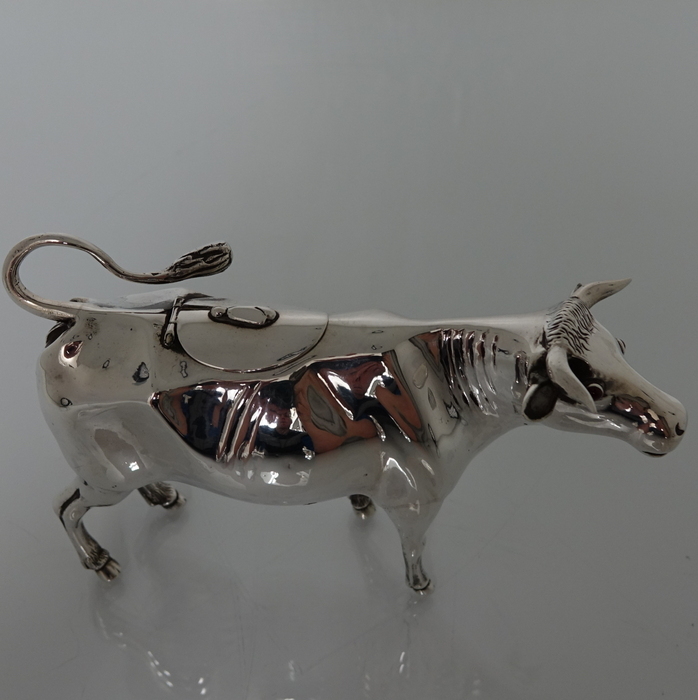 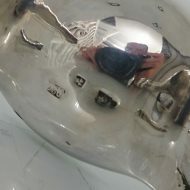 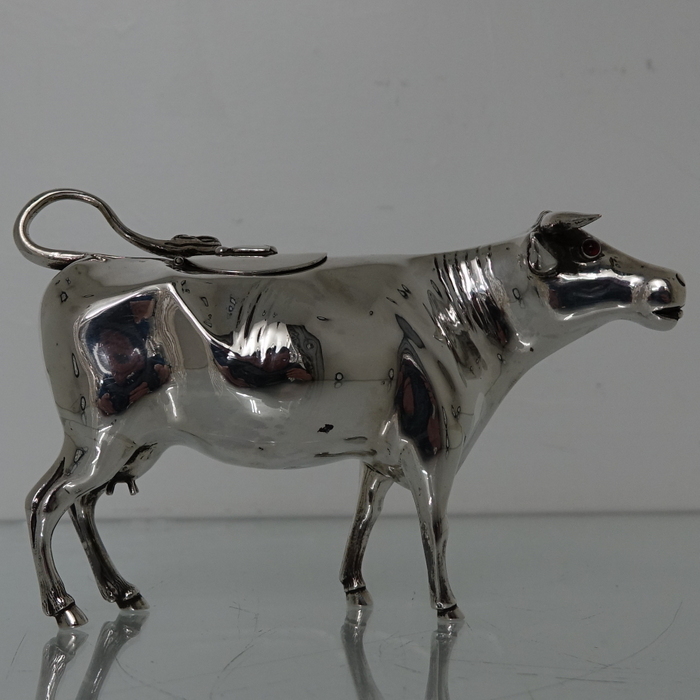 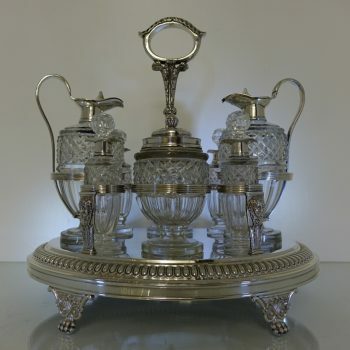 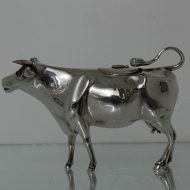 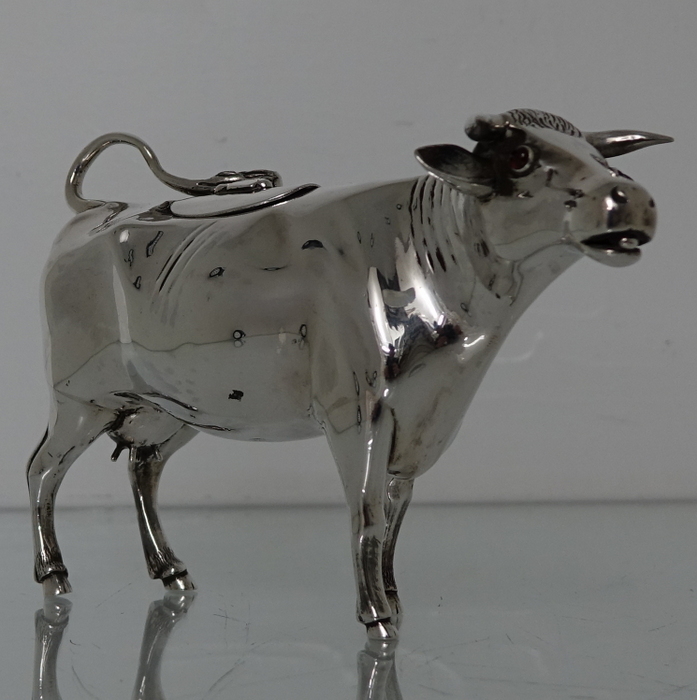 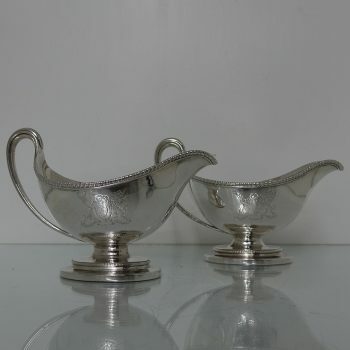 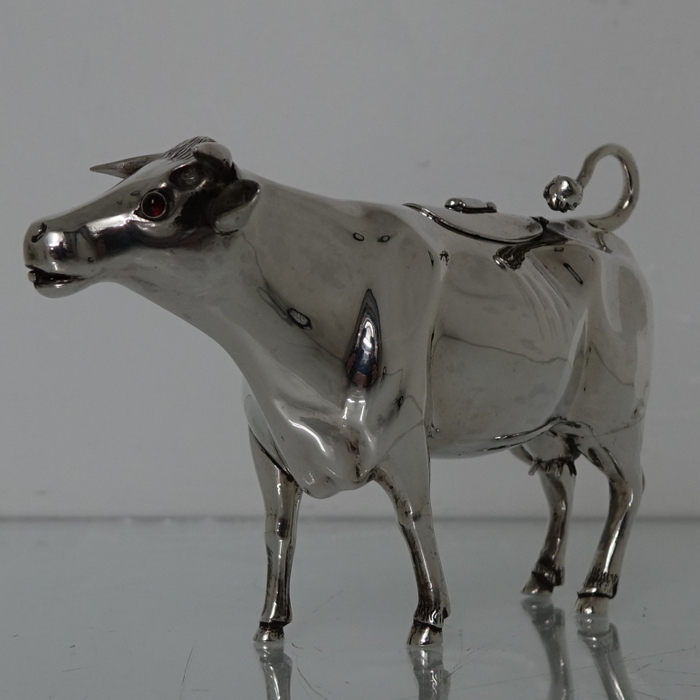 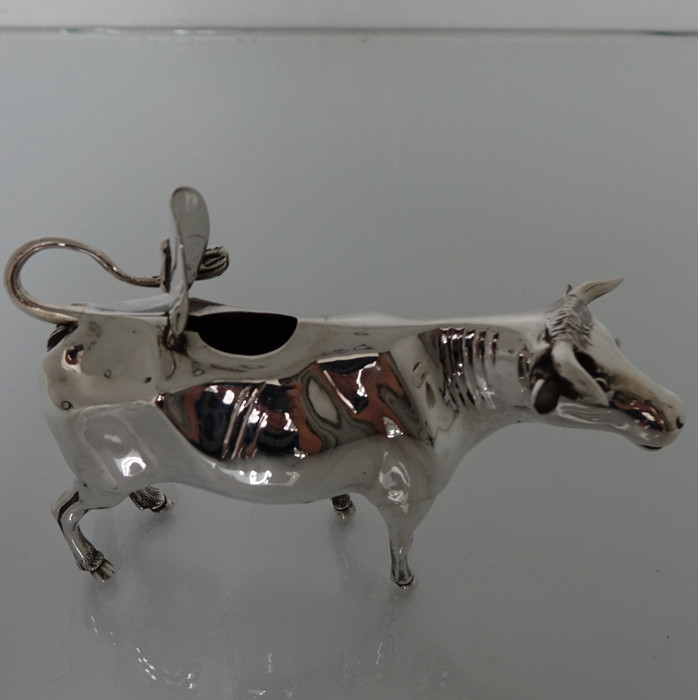 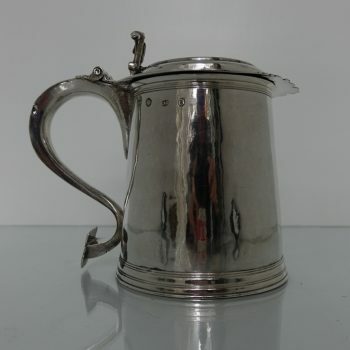 A very elegant European made silver cream jug crafted in the form of a cow. A very elegant European made silver cream jug crafted in the form of a cow. 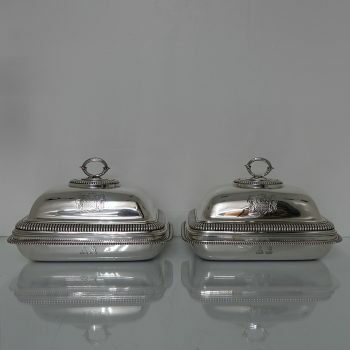 The jugs detailing is incredibly life like with red stone eyes, elegant curled tail and bee formed finial. 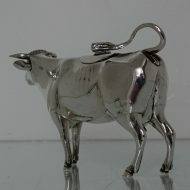 The mouth of the cow is were the cream/milk pours from. 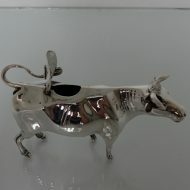 The upper back of the cow has a hinged door.